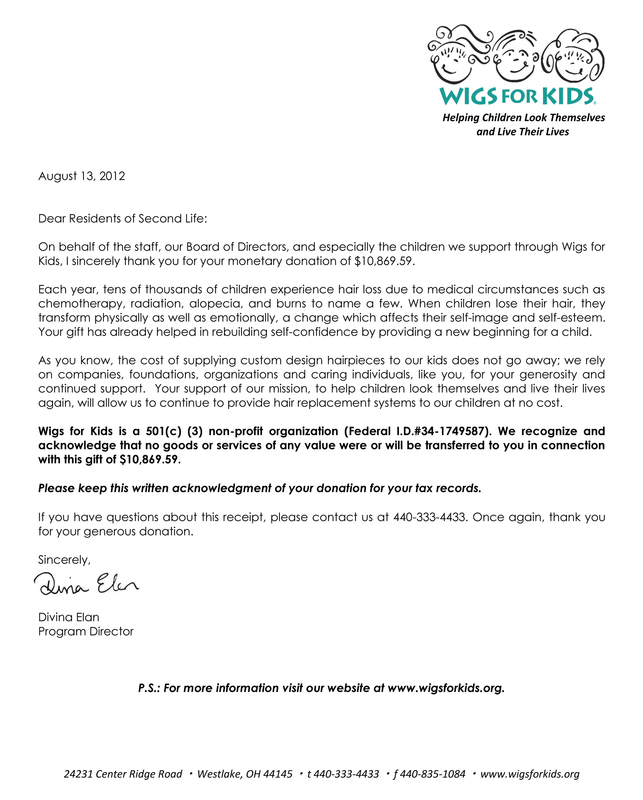 It is with a great amount of joy that we have been able to receive a letter so fast from Wigs for Kids, stating that they have received our donation from Hair fair 2012. 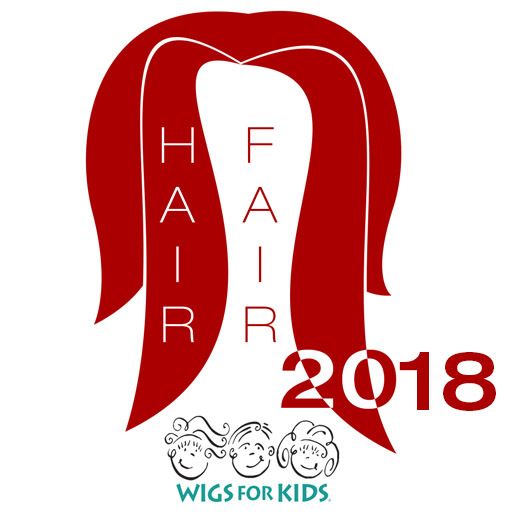 Not only did we raise the most any Hair Fair to date has raised, but we also are so happy that they too broke a record with their Zoo Walk fundraiser that took place around the same time, and was advertised at Hair Fair 2012. 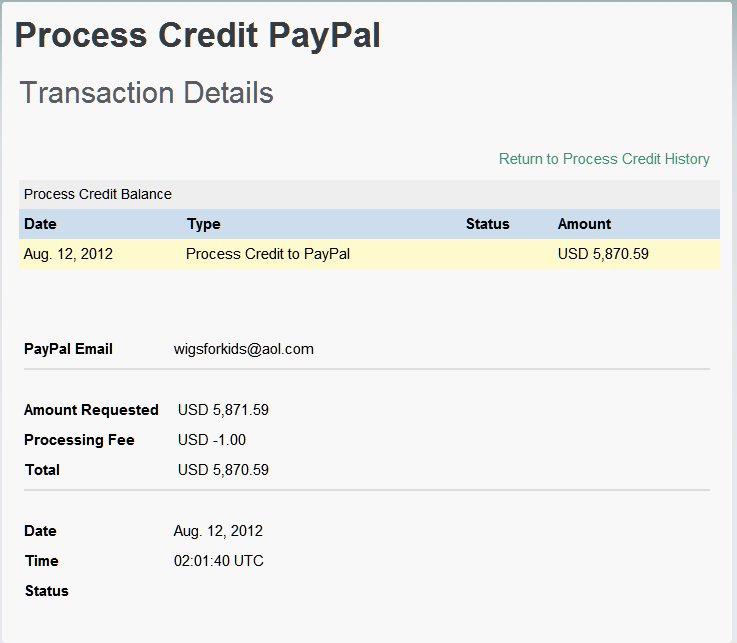 We had to make the payment in two parts due to the amount exceeding 10000 USD, so I have also included the payment process pages from Linden Lab for these amounts. 2,794,020L was raised and once processed and fees taken that left us with $10,869.59 to donate, and we are so proud of everyone for that. Thank you again to all the incredible Hair Designers who participated in this years Hair Fair, and their generosity that made this donation possible. A big thanks to all the people that created Bandanas that were sold during the event. A huge thank you to the Hair Fair Committee. Mel Vanbeeck – Builder, Scripter, Designer Liaison, and my personal anchor through all storms. 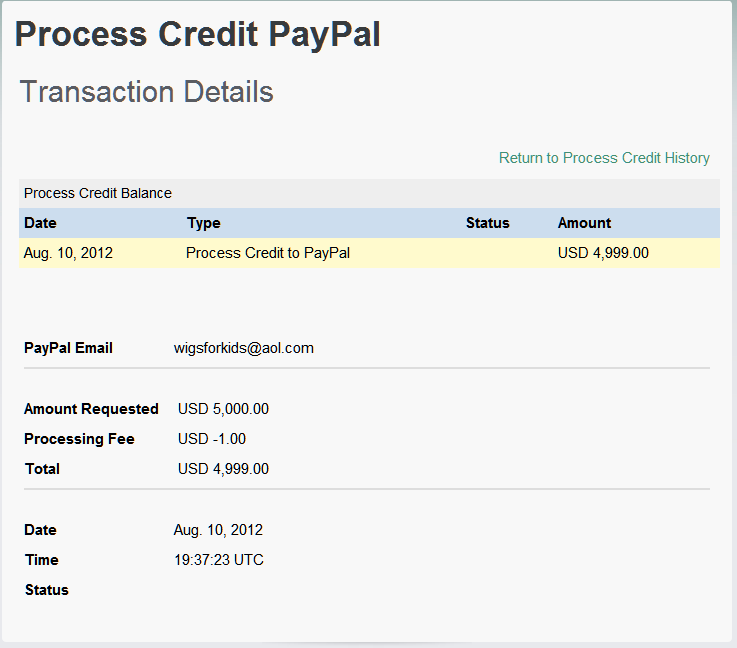 Whimsy Winx – Builder , Designer Liaison and everything else asked of her. Ashia Tomsen – Photo Contest Organiser, Designer liaison and press officer. Gabby Panacek – Administration, Designer Liaiason. Andrew – Wigs for Kids representative who keeps in touch with us leading up to and during the event, and is always ready to lend a hand in anything we need to get stuff done for Wigs for Kids during this event. A huge thank you to all of the Bloggers of Second Life, that were able to help spread the word about this event. Whether they were able to get in early or not, making sure that their readers are aware of such things as well as showing support for not only the fundraising involved but the stores that are participating, as they are here all year round. The biggest thanks of all is to those members of the Community that spent their hard earned lindens on hair during the event, told their friends, spread the word and supported the event with their purchases as well as all the lovely IMs we received. Thank you all so much…see you next year.